Algiz is the rune for protection, sanctuary, assistance, defense, mentor, support, and spirit guides. 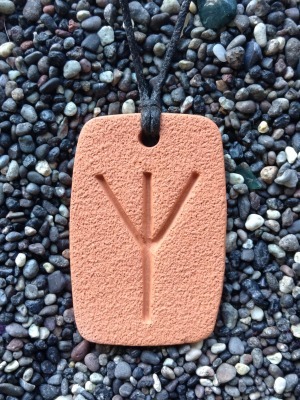 The Algiz Rune Pendant measures 2.7 cm by 4.2 cm (1 1/8i n by 1 7/8 in). I found you guys on amazon when I was looking for an algiz necklace, I love the necklace so much I really do feel more protected and blessed with it! Thank you so much!